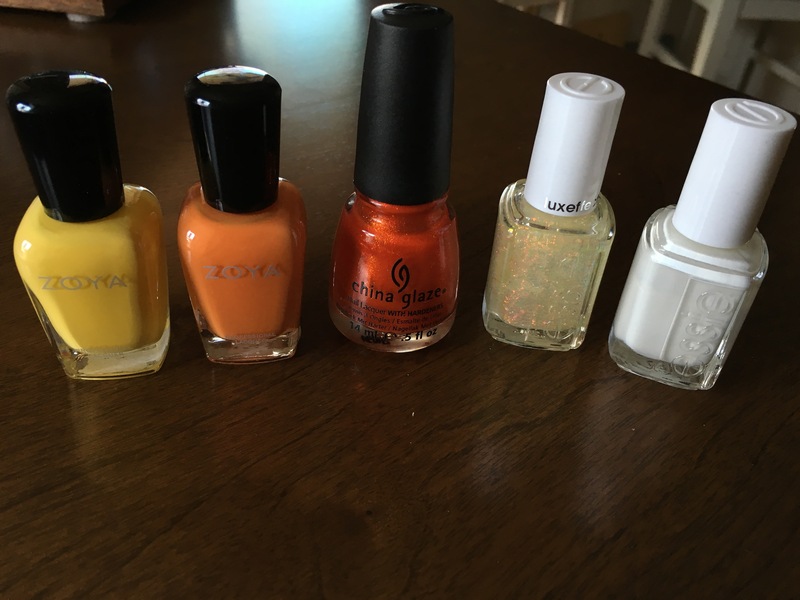 I always start any mani with pulling any and all colors from my collection that could possible work. I usually only end up using a few but I like to have my options open, plus you would be surprised what colors end up working best! I ended up sponging on all the colors for this. I got a bag of make-up sponges from Sally’s Beauty. 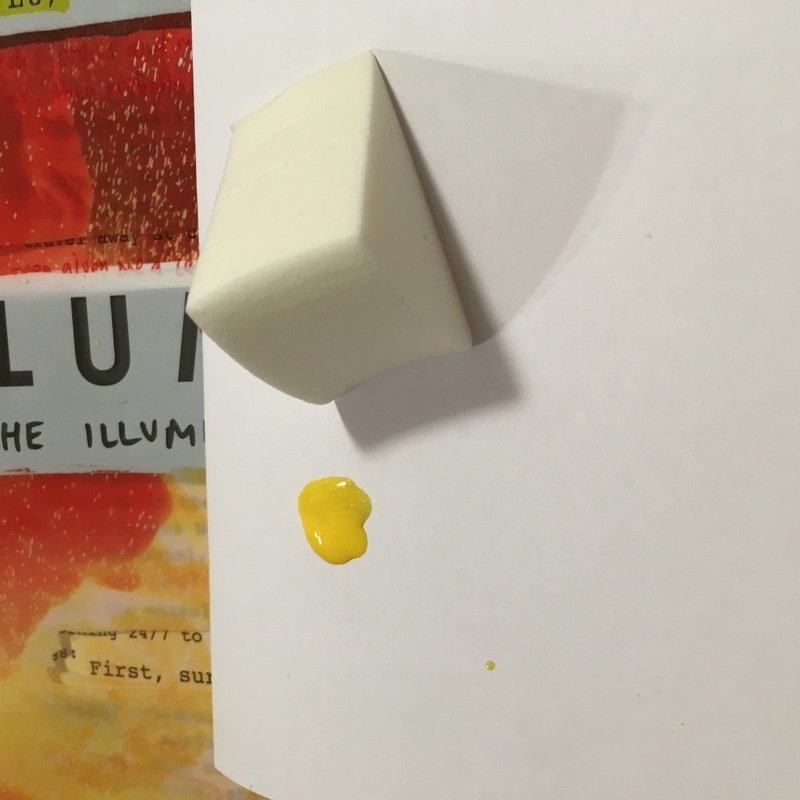 I started with the lightest color/the color I wanted to just “peak through”, for this I used Zoya Pippa. 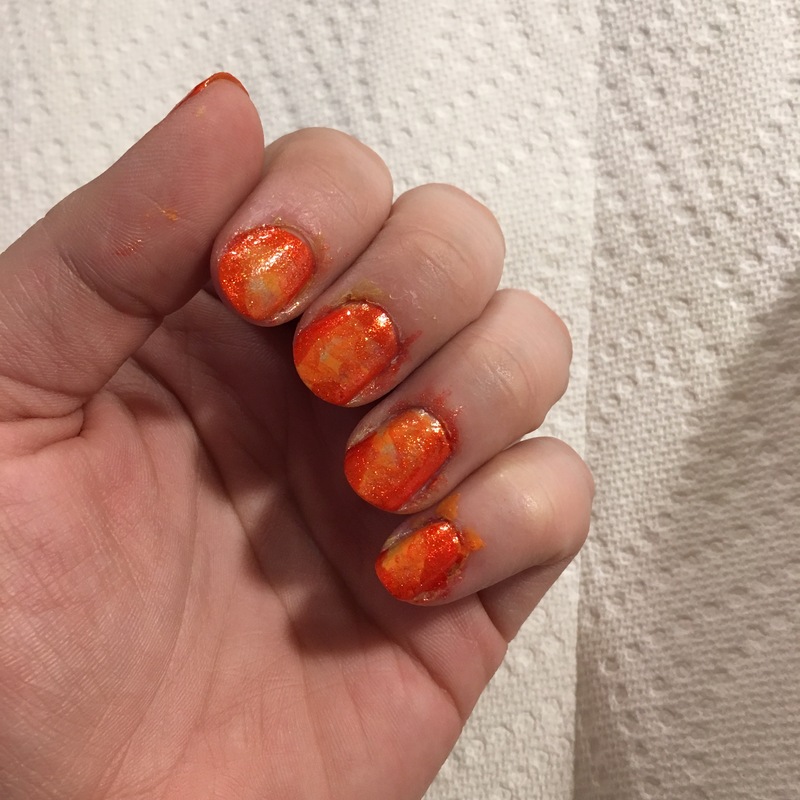 From there a moved to a solid orange (Zoya Arizona) and then an orange with some sparkle (China Glaze Riveting) and I ended up dabbing a bit with the brush out the utside edges to get an extra pop of color. With the sponging, there will be some mess on your cuticles! I wait until the end to clean all at once. From there I took a dotting tool (you can use a toothpick or any thing similar with a fine point) and did some random white dots. 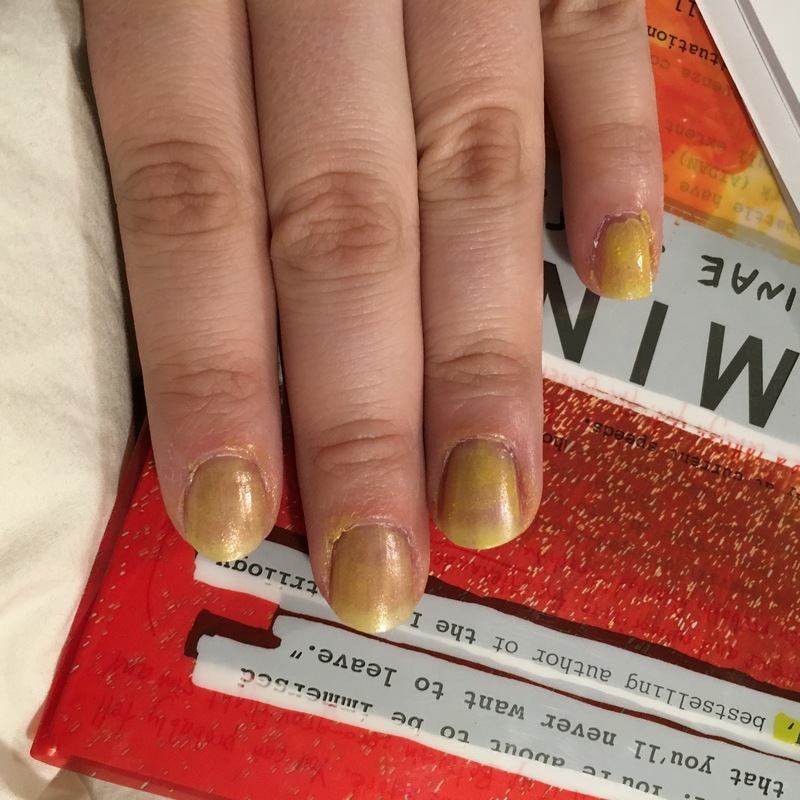 Before I put top coat on, I did a quick sweep of a clear glitter to give it one last little bump. I am SO HAPPY with how this turned out!! There was no rhyme or reason to my dabbing and sometimes randomness turns out looking really cool. 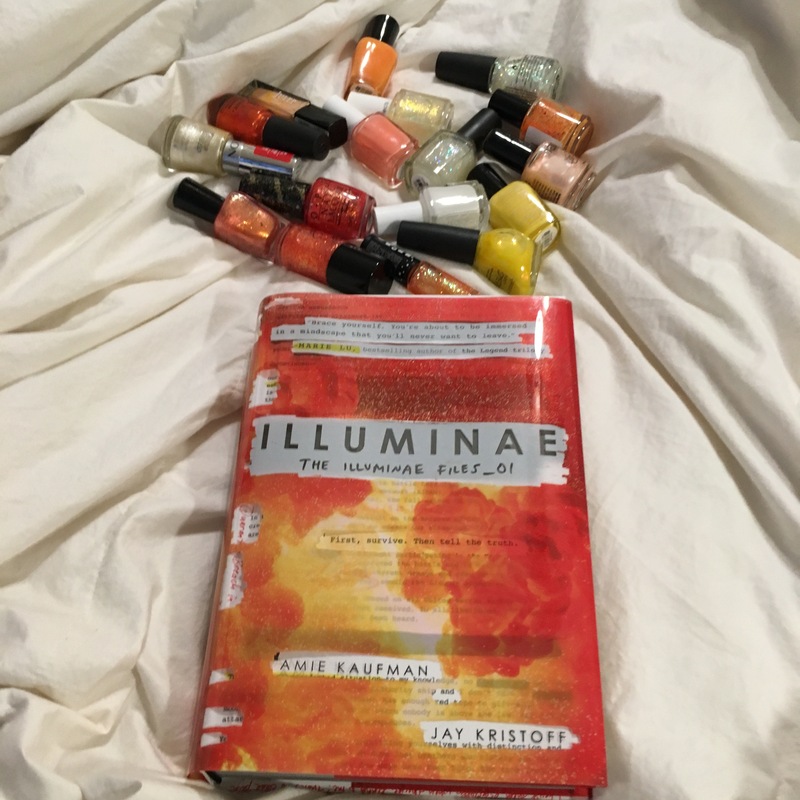 If you haven’t read Illuminae yet I HIGHLY HIGHLY reccomend it! If not make sure to enter the giveaway below!! 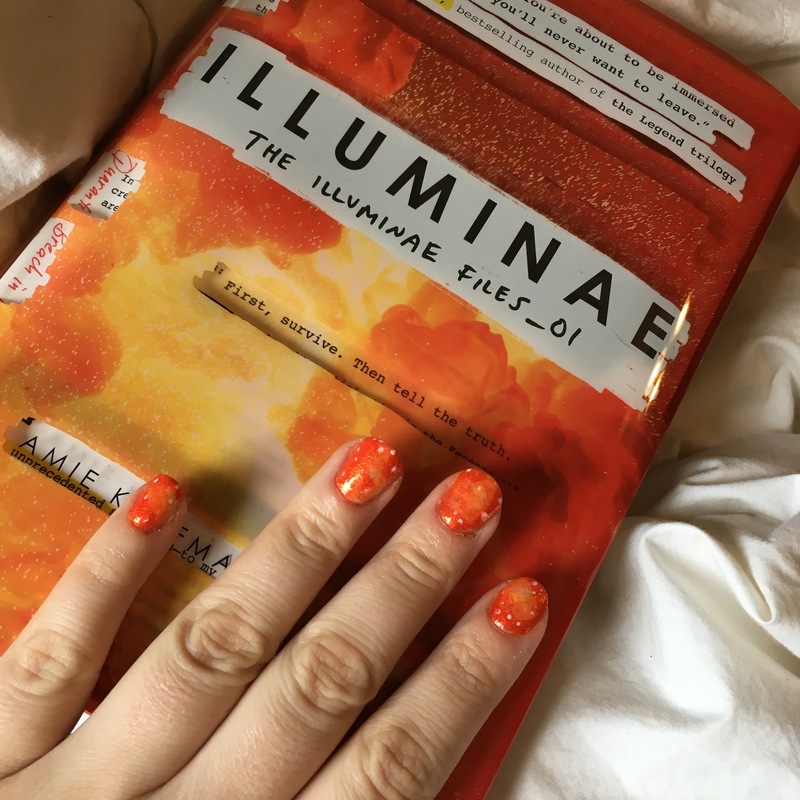 Also if you are in the US make sure to check to see if Amie and Jay are stopping in your town for Illuminae!! Throne of Glass Book Tag! So pretty!! I could never do that myself, but I wish I could!! !